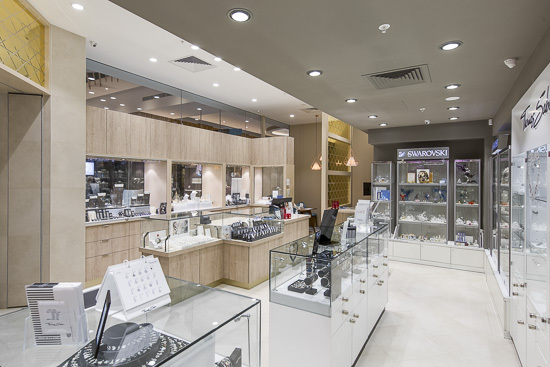 Andrew Ralph’s Diamond Jewellers is one of Mandurah’s original jewellery retailers, with their origins stretching back 52 years. 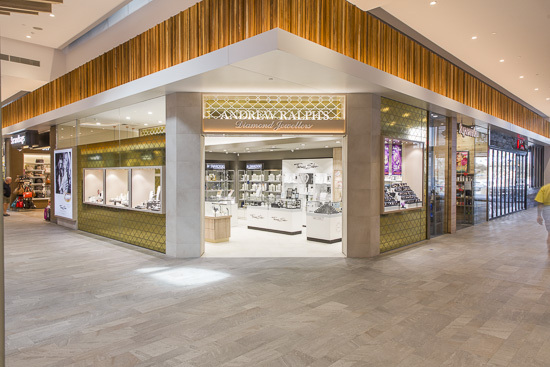 Currently situated in the newly refurbished Halls Head Central shopping centre. Andrew Ralph wished to create a sophisticated and timeless design, reflecting his passion for hand crafted classic jewellery pieces. 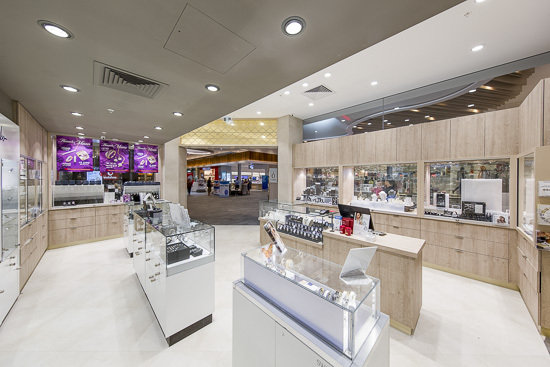 JBM Projects was required to integrate existing display cases into the new design. 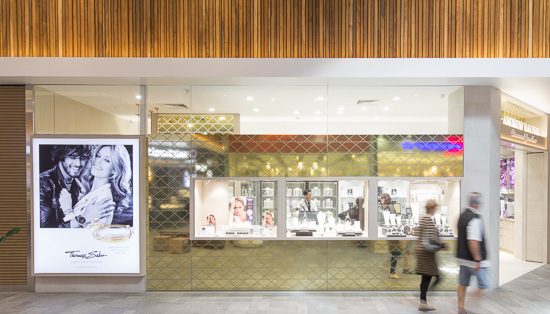 A high quality fitout was required to suit this style of retail store, with unique features such as the facade, featuring a glistening mirrored gold and pewter diamond pattern with polished timber jewellery boxes that extend past the glazing into the shopping centre. 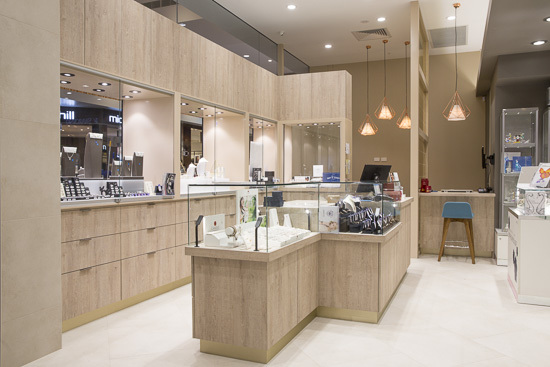 High quality light timber joinery and custom made glass display cases were constructed to allow the products to shine. Professionally finished with illuminated 3D white signage, copper feature pendant lighting and a custom made navy and yellow geometric rug.